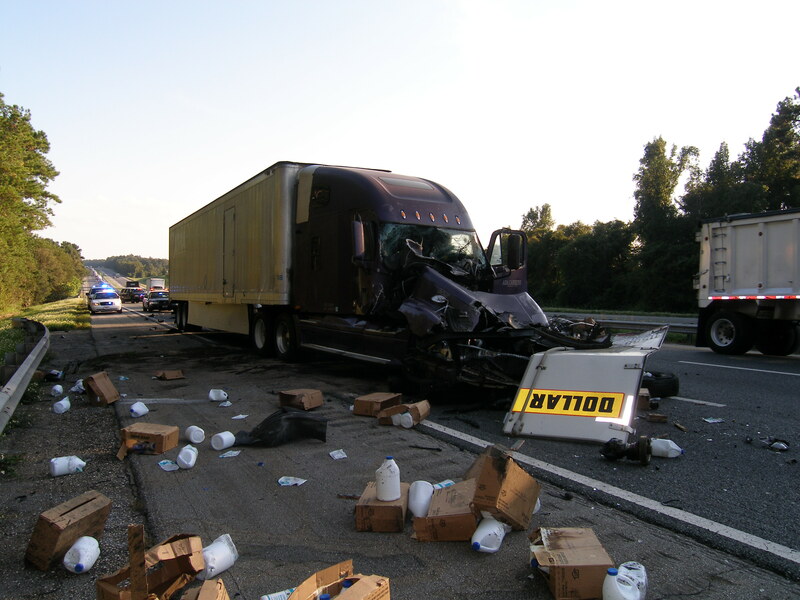 At around 4:11 p.m. on Wednesday, October 2, 2013, two tractor trailers collided on I-75 near mile marker 371. 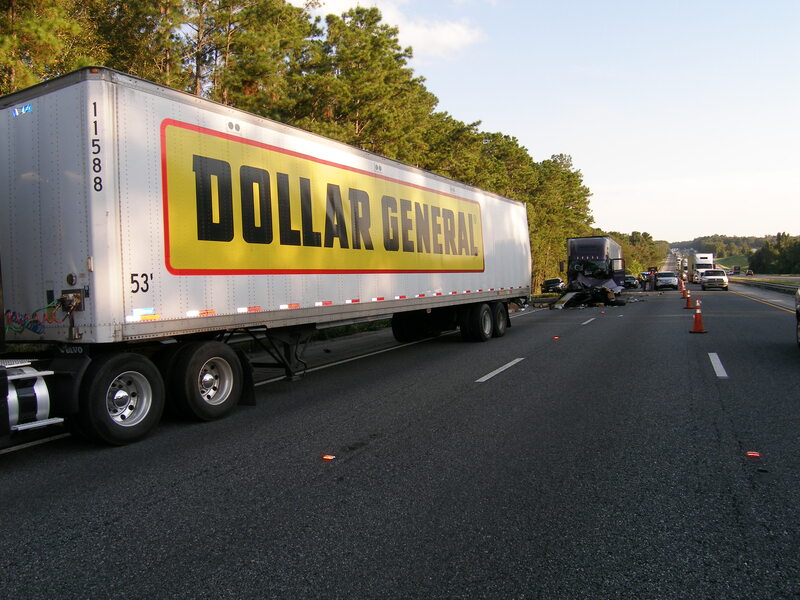 Michele Richardson-Lozano, 43, who was driving the Dollar General semi was stopped in the outside lane of northbound I-75, in her 2009 Volvo Tractor Trailer due to a previous accident that had occurred earlier near mile marker 372. 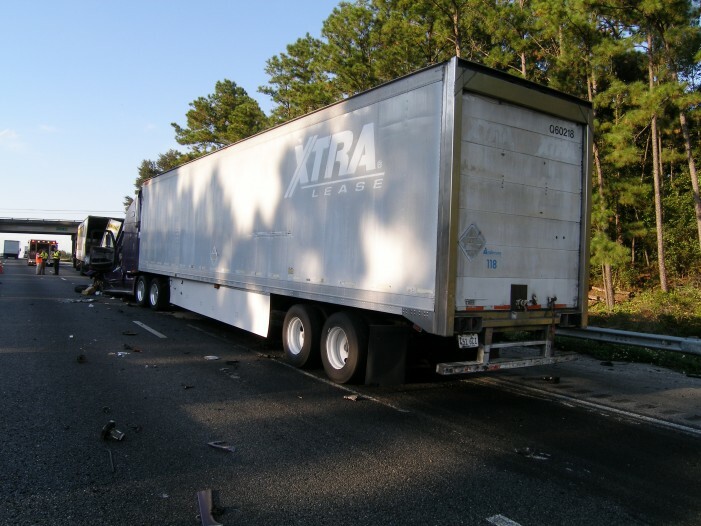 Daniel Loople, 45, was driving his Freightliner Tractor Trailer, traveling northbound in the outside lane of I-75 and failed to realize the stopped traffic up ahead of him causing his semi to rear-end Michele Richardson-Lozano’s tractor trailer. Richardson-Lozano and her passenger, Jon Lytle, 49, sustained minor injuries during the crash. Troopers said about 50 gallons of diesel fuel spilled in the accident, along with multiple containers of bleach. Daniel Loople was transported to UF Health in Gainesville where he died as a result of his injuries.